Origin Forests of the Ivory Coast and Gold Coast of West tropical Africa. 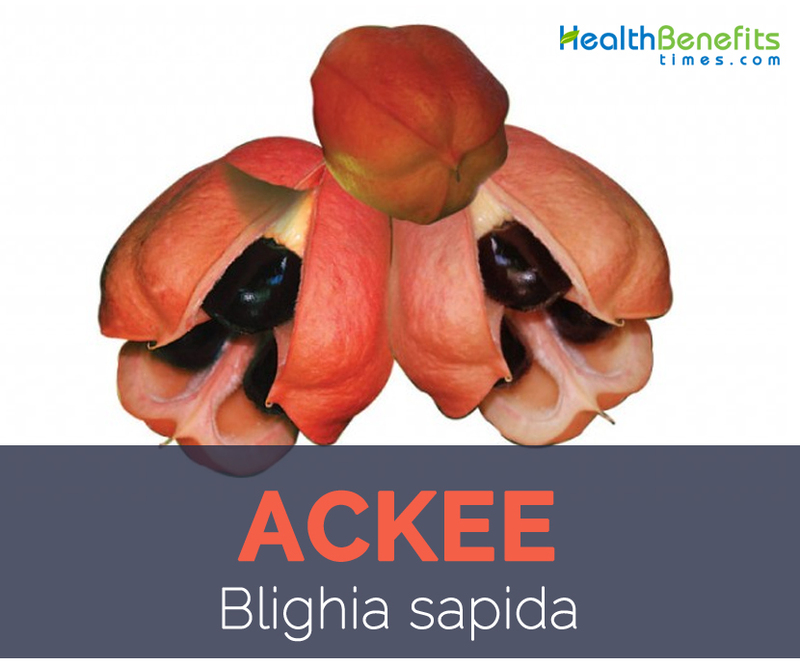 The ackee fruit, Blighia sapida, is a tropical exotic widely known for its toxicity, is regarded as a marker species for Jamaican nationals and was named in honor of William Bligh. 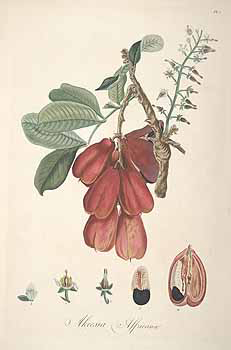 Bligh was a British naval ofﬁcer and colonial administrator who was responsible for the transportation of an ackee plant on the Providence from Jamaica to Kew Gardens in England in 1793, where ackee was scientiﬁcally described by botanist Charles Konig (Konig angli cized his name from Karl König, or Koenig.) Ackee belongs to the botanical family Sapindaceae, also known as the soapberry family; other known family members include lychee (Litchi chinensis), longan (Dimocarpus lon­ gan), rambutan Nephelium lappaceum, and genip Meli­ coccus bijugatus. 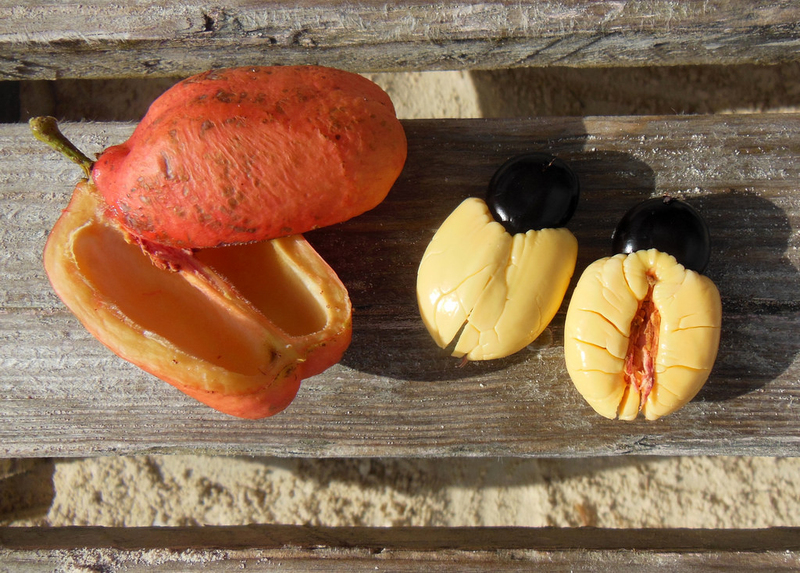 The name Ackee is derived from the West African name “Akye Fufo”. It is native to forests of the Ivory Coast and Gold Coast of West tropical Africa. 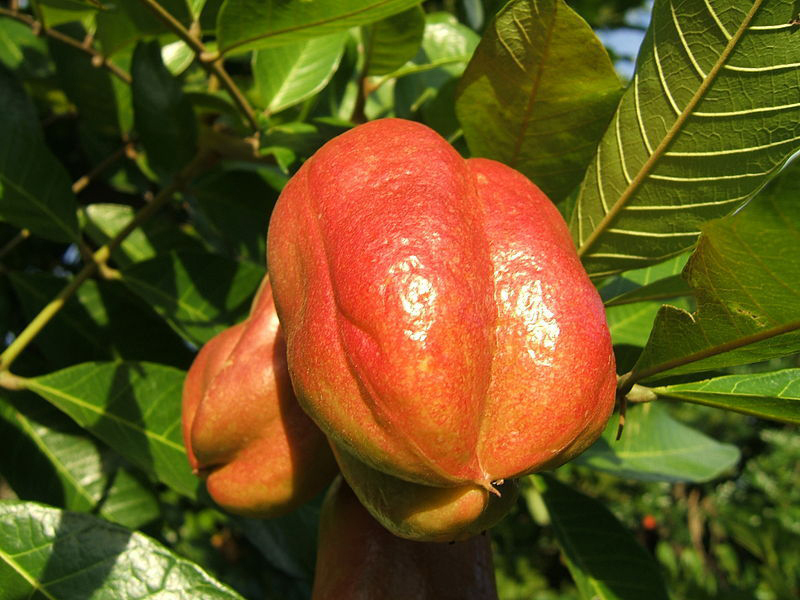 Ackee, Akee, Akee Apple, Aki, Savory Akee Tree, Vegetable Brain are some of the common names of the Ackee. Ackee is the national fruit of Jamaica and is enjoyed as a prepared breakfast dish or as a lunch or dinner entrée. When fruit ripe on the tree, it opens to reveal three large black shiny seeds surrounded by a bright yellow flesh. The yellow flesh around the seed is edible; the rest of the fruit contains toxic levels of hypoglycin A and B, which can cause mild to severe vomiting, convulsions, coma and even death in some cases. 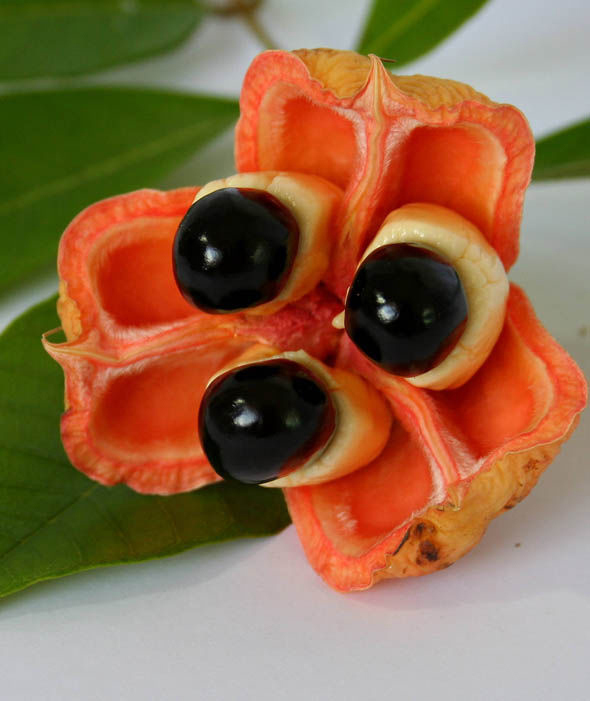 Ackee is a perennial evergreen tree growing up to 10–12 m and thrives well in full sun or partial shade and prefers deep, fertile loamy soils with abundant moisture, but makes satisfactory growth on shallow sandy soils or calcareous soils. 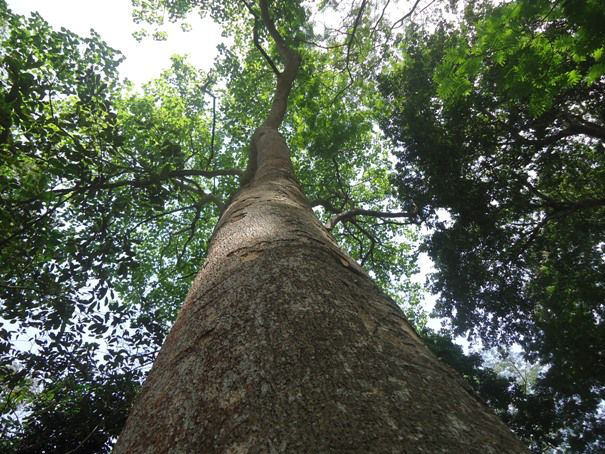 It has a short trunk of 1.8 m circumference and grey, smooth bark and a dense crown of spreading branches. Leaves are alternate, pinnately compound with 3–5 pairs of oblong, obovate-oblong, or elliptic leaflets, 15–30 cm long, with obtuse base and acuminate apex, glossy bright-green on the upper surface, dull and paler and finely hairy on the prominently raised lateral veins on the underside. Leaflets are 8–12 centimeters (3.1–4.7 in) long and 5–8 centimeters (2.0–3.1 in) wide. Flowers are bisexual and male borne together in simple racemes 7.5– 17.5 cm long, fragrant, 5-merous, greenish-white and pubescent. Ackee is a colorful and delicious fruit that is a popular addition to numerous exotic dishes and has become a backbone in Caribbean cuisine, because of its flavor and its beneficial health properties. It is pear shape and is green in color which turns into yellow-orange when completely ripe. When ripe it splits open to reveal three large, shiny black seeds, each partly enclosed by soft, creamy or spongy, white to yellow flesh. The yellow edible fruit is known as the aril. The base of each aril is attached to the inside of the stem-end of the “jacket” by pink or orange-red membranes. The fruit of the Ackee is not edible. It is only the fleshy arils around the seeds that are edible. The remainder of the fruit, including the seeds is poisonous. The fruit should be picked after the fruit has opened naturally, and must be fresh and not overripe. Immature and overripe ackee is also poisonous! Arilli are tender and are normally added to the dish last, and cooked through when the cream colored ackee turns yellow. Fruit has tastes like scrambled eggs and is delicate flavor. 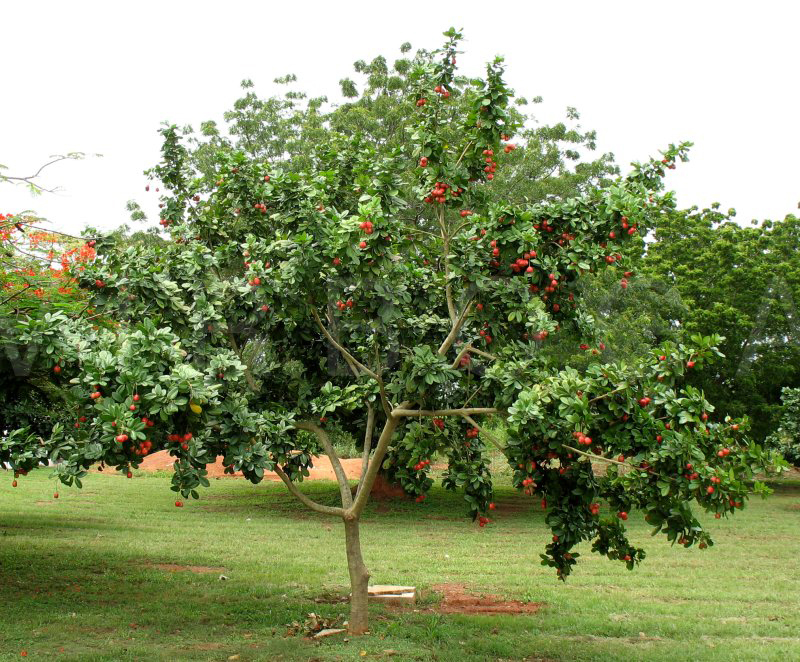 This fruit is used in many dishes and cuisines and is the national fruit of Jamaica. It is usually made with salted codfish and is known as ackee and salt fish. The ackee and saltfish is the national dish of Jamaica as well. The fruit typically weighs 100–200 grams (3.5–7.1 oz.). 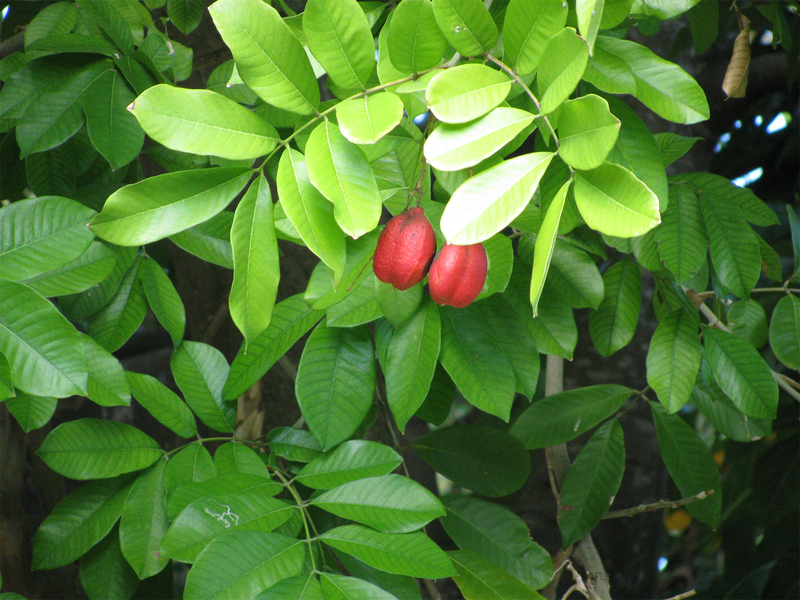 Ackee plant produces fruit 2 times per year, between January and March, and June and August. 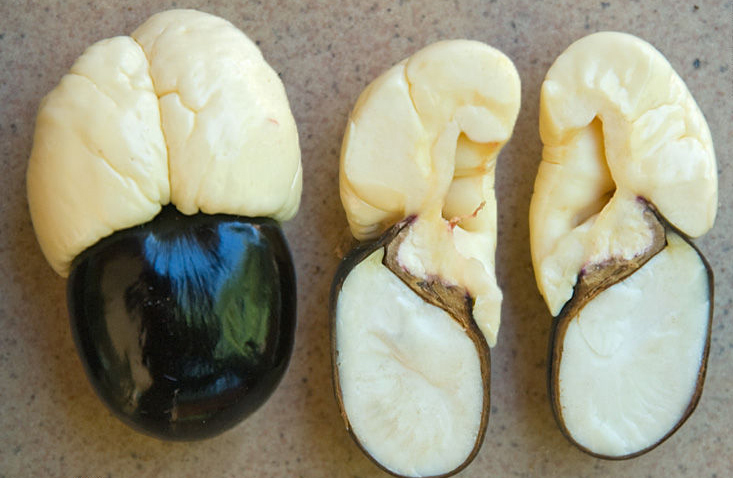 In the ackee fruit’s native homeland the seeds are crushed to a pulp and thrown into freshwater systems where the stunned ﬁsh are gathered quickly as they ﬂoat to the surface. Fish take saponins directly into their bloodstream via the gills; therefore the toxin acts on the respiratory organs of the ﬁsh without affecting their edibility. Even though saponins intoxication is effective, it is usually not fatal, and ﬁsh washed away into untainted waters tend to revive to pre-toxic conditions. For this reason the West Africans being captured, sold into slavery, and transported to the New World saw the need to take with them seeds of the ackee fruit with the hope of catching some ﬁsh to aid in their survival. However, the landscape and topography were very different in the Caribbean islands where the freshwater systems are much smaller and faster ﬂowing; therefore this technique of ﬁshing was not as effective as in Africa. Apart from their scrambled eggs like taste and delicate flavor, ackee is a good source of nutrients, vitamins and minerals. Consuming 100 gram of Ackee offers 15.2 g of Total Fat, 30 mg of Vitamin C, 240 mg of Sodium, 1 mg of Zinc, 0.7 mg of Iron, 2.7 g of Total dietary Fiber, 1.1 mg of Vitamin B3 and 2.9 g of Protein. Ackee is packed with vitamins, nutrients, and organic components that make it a useful dietary tool for a number of health conditions. Let’s take a closer look at the many health benefits of ackee. Vitamin C contained in Ackee is beneficial for immune system and plays an important role in your body’s capability to fight off colds and viruses. 1000 mg of Vitamin C is appropriate to fight off an oncoming cold whereas 4000 mg per day is required to get rid of a cold that is previously in your system. Regular use of Ackee during colds and flu can help to reduce the risk of developing further complications, like pneumonia and lung infections. Muscle cramps are mainly caused due to electrolyte imbalance & dehydration and are quite common in the summer months. Sodium present in ackee is responsible for muscle contraction as well as hydration. Sodium rich juices and fluids help to restore the amount of electrolyte. Ackee is one of the best options for getting required amount of sodium since it contained 240 mg of sodium which is 16.00% of the daily recommended value. Fleshy arils from fully ripe fruits are consumed fresh or used for many dishes after parboiling, cooking or frying. Arils of the ripe fruit are nutty- flavored, and cooked arils have texture of scrambled eggs. Seeds are discarded and the arils, while still fresh and firm are best parboiled in salted water or milk and then lightly fried in butter. They are often cooked with cod fish, onions and tomatoes in Jamaica. Soon after parboiling, they are added to a stew of beef, salt-pork and scallions, thyme and other seasonings. They are occasionally curried and eaten with rice. Fleshy arils are processed in brine, canned and exported. They are eaten raw or in soup, or after frying in oil in Africa. Ripe arils are consumed directly fresh, added to sauce to replace sesame seeds or peanuts, or grounded into powder and added to the sauce in Benin. Arils are also fried in peanut oil or palm oil. In Benin, the ethnic group, Natemba, use the young leaves as vegetables. Many parts of the plant are used in folkloric medication in several tropical countries. Repeated small dose of an aqueous extract of the seed has been administered to expel parasites in Brazil. Leaves and bark are regarded stomachic in Colombia. Various preparations are made for treatment of epilepsy and yellow fever. Cubans blend the ripe arils with sugar and cinnamon and give the mixture as a febrifuge and as a treatment for dysentery. Bark is mixed with pungent spices (Capsicum pepper) in an ointment applied to relieve pain in Ghana. Crushed new foliage is applied on the forehead to relieve severe headache. 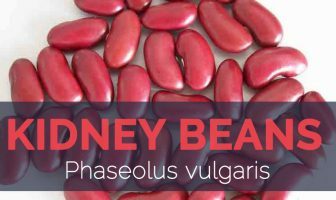 Seeds are ingested to treat nausea and vomiting. Leaves, crushed with salt, are poultice on ulcers and yaws in Côte d’Ivoire and Nigeria. Finsan is widely used for the treatment of yellow fever, epilepsy and oedema, and as a laxative and diuretic in Côte d’Ivoire. Leaf juice is used as eye drop in ophthalmia and conjunctivitis. Bark pulp is used as liniment for oedema intercostal pains. Leaves are used for the therapy of fever and vertigo, and twigs for hepatitis, cirrhosis and amygdalitis in Benin. Decoctions of bark or fruit walls are applied to wounds, and the fruit pulp to treat whitlow in Togo. Pounded bark is administered as an antidote to snake, stings and scorpion bites, and pounded seeds to treat stomach complaints. To treat whitlow, ackee bark is crushed with common bean or cowpea and salt and applied to the finger; or crushed roasted seeds added to palm oil and similarly applied; or a mixture of ackee seeds and cashew nuts is incinerated and the ash applied to the finger. To treat head lice the fruit capsule is burned and the ashes are used to wash the head. To treat dental decay, the crushed seeds and salt is applied on the decaying teeth or crushed dried bark is placed on the hole of the decaying teeth. For apparition of the first children’s teeth, a decoction of leaves and bark is drunk. Child is washed with a root infusion or with a water decoction of pounded leaves to treat child fever. Pounded leaves of ackee and teak or pounded leaves of ackee and mango are used to treat fever. Powdered dried bark and salt is added to porridge and ingested, or crush bark and African locust bean (Parkia biglobosa) are eaten to treat yellow fever. Bark solution is used to wash the eyes to deal with eye problems. Bark infusion; decoction of dried bark; an infusion of the bark plus green pepper seeds (Capsicum anuum) and soybean leaves; an infusion of ackee and papaya leaves or a leaf decoction is taken to treat malaria. Powdered dried bark and salt is applied on wounds caused by scorpion and snake bites. Powdered seed or bark; or crushed, roasted seed and palm oil are used to heal wounds. Crushed bark plus cowpea or common bean is applied on abscesses. Juice from crushed bark and honey is applied on burns. To treat cutaneous infections, buttons on the body, a shower is taken with an infusion of leaves and bark. Soaked leaves are used as a massage for fractured limbs. Crush dried bark is taken with porridge to treat internal hemorrhage. To treat pregnant women blood flow, macerated leaves previously exposed to the dew plus limestone is drunk. 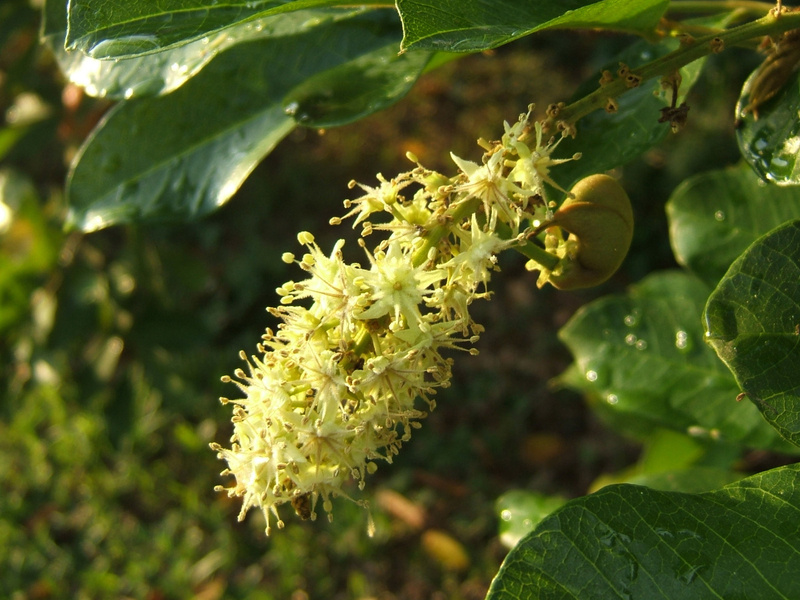 A bark decoction is taken for constipation; root decoction for anemia, leaf decoction for vomiting and decoction of leaves of akee and Shea butter (Vitellaria paradoxa) is taken for dysentery. To treat Guinea worn infection, crushed dried bark plus Shea butter (Vitellaria paradoxa) and potash are applied on the skin. Oil from B. sapida fruit are edible and may be explored as raw materials in the paint, margarine, and soap industries. Bligha sapida leaves are good feed resource for West African dwarf goats especially in the dry season. The ethnic groups, Otamari and Natemba, located in the North-West of Benin use powdered bark, seeds and capsule to poison fish rendering them easier to catch. Ackee soap is mostly produced and commercialized by women from the ethnic groups Otamari, Batombu and Natemba. Whole immature fruits are cut into small pieces and plunged into water for washing clothes in Pobè region (South-East Benin). Ash from calcined capsules is used as a repellent for some insect pest in cowpea or common bean in the region of N’Dali. Thad dried; crushed bark is combined with seeds of pearl millet and African finger millet before sowing to thwart insects’ attacks in Boukoumbe. An extract of the flowers is appreciated as cologne in Cuba. Heartwood is reddish-brown, hard, coarse grained, durable and immune to termites and is used locally for light construction and pilings, building materials, carpentry and related applications, farming, forestry, hunting and fishing apparatus and has been recommended for railway sleepers. In the timber trade, the wood is marketed as achin or tsana. The wood is also used for fuel and lighting. Ackee is poisonous when it’s consumed before it is fully ripened. Eating unripe ackee can cause Jamaican vomiting sickness, which can cause severe vomiting and hypoglycemia. Calories 151 Kcal. Calories from Fat 136.8 Kcal.